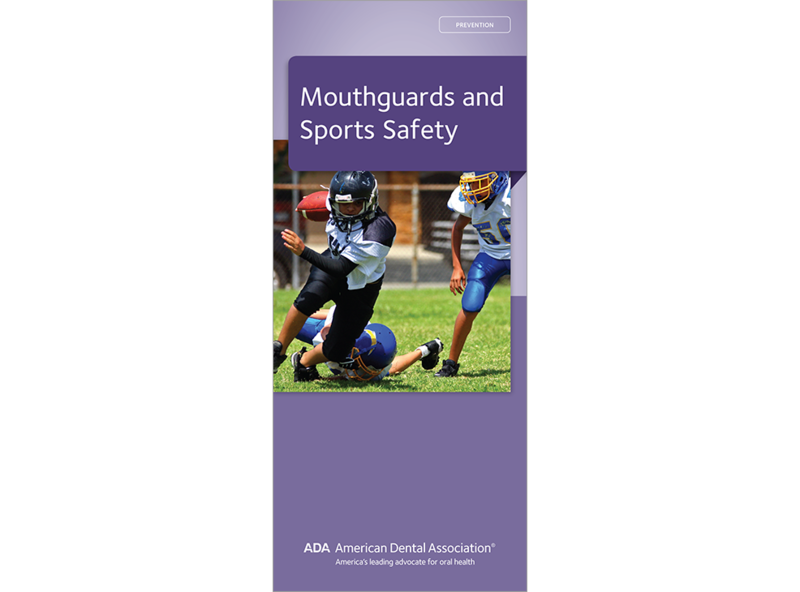 This revised brochure highlights the essential role mouthguards play in helping to prevent mouth and jaw injuries. It covers how to find a guard that fits – including at-home options that earned the ADA Seal of Acceptance. Plus, reviews how to take care of appliance and considerations for patients with orthodontia. Drives home the point that the best mouthguard is one that fits comfortably and correctly. Includes a list of dental emergency procedures to tear out and save. 6-panel brochure, pack of 50.